In case you haven’t noticed, your Labradoodle is always trying to please you and do things you approve of. This is the nature of the breed, they are highly intelligent and they just want to show you they understand what you are saying and what you are commanding them to do. 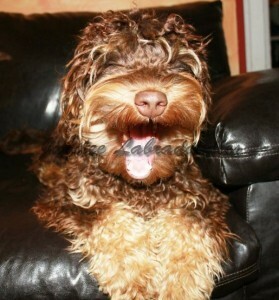 Labradoodles can be mischievous and get into trouble-after all they still have free will. But if you train them properly they will do what you ask and when you ask it. Also keep in mind if you are not challenging them, then they will get into trouble because they have a lack of direction. Stay consistent- If you tell your dog not to jump on you one day because they will get your clothes dirty but then the next day you allow them to do this and see it as playing, then they are bound to be confused. It isn’t fair to expect them to understand you sometimes have to wear nice clothes and can’t play. Lead- Dogs are pack animals and they have pack mentality, this means they need a leader to lead them and teach them from right and wrong. Continue Training- Always figure out ways to train your Labradoodle something new, if they do not get challenged enough they will do something they are not trained to do and this is most likely be something you consider naughty. Here and Now- Plain and simple, if you do not see your dog do the naughty deed, you cannot punish them for it. They don’t have the capability of understanding why you are yelling with that pair of chewed up socks in your hands, when they chewed on it hours earlier. Follow Through- don’t expect your dog to do something if you cannot follow through with your end of the bargain. For example don’t expect your dog to “stay” for 20 minutes simply because you didn’t give the command that they were free to roam about. 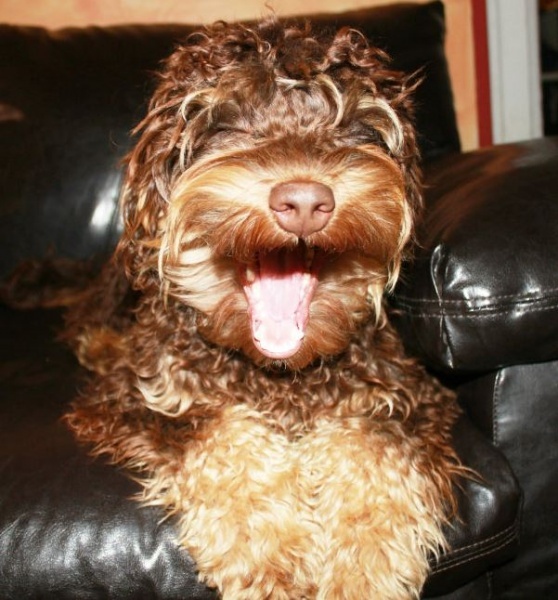 If you have any questions, feel free to contact Jubilee Labradoodles today!